Wang FS, Fan JG, Zhang Z, Gao B, Wang HY. 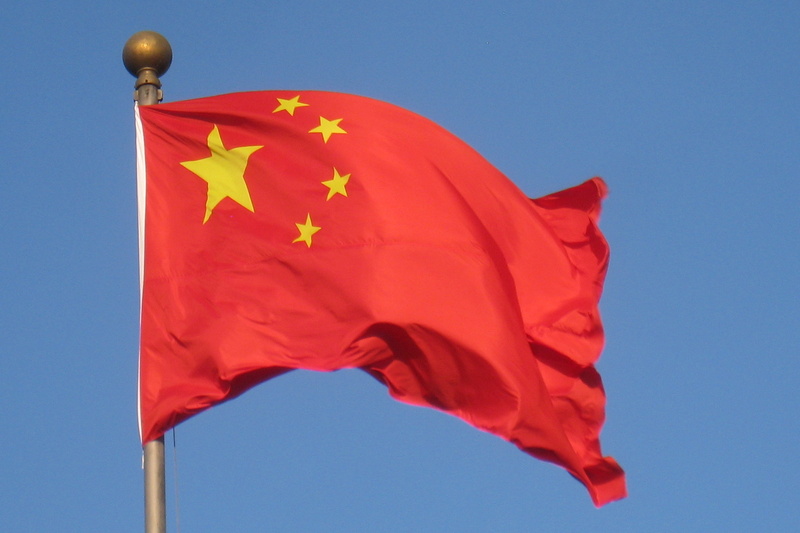 The global burden of liver disease: the major impact of China. 2014;60(6):2099-108. Yan YP, Su HX, Ji ZH, Shao ZJ, Pu ZS. Epidemiology of Hepatitis B Virus Infection in China: Current Status and Challenges. Journal of Clinical and Translational Hepatology 2014 (2): 15–22. Zuo et al. Incidence and mortality of liver cancer in China in 2011 Chin J Cancer 2015; 34:56. Omata M , Kanda T , Yokosuka O, Crawford D, Al-Mahtab M , Wei L , Ibrahim A Lau G, Sharma BC, Hamid SS, Chuang WL, Dokmeci AK. Features of hepatitis C virus infection, current therapies and ongoing clinical trials in ten Asian Pacific countries. 2015; 9 (4): 486-507. Wei L, Lopez-Talavera J, Roa H, et al. Prevalence of HCV viral and host IL28B genotypes in China. Hepatology. 2011;54:563A–564A. Xinhua News Agency. About 38 mil Chinese carry hepatitis C virus, November 23, 2007. Available at: http://www.chinaorg. cn/english/health/232872.htm. Accessed December 10, 2013. Feng B, Zhang J, Wei L. Inadequate awareness of hepatitis C among nonspecialist physicians in China. Adv Med Ed Pract. 2011;2:209–214. Lau G. Chronic HCV infection in Chinese. Global antiviral Journal. Vol 2, suppl 3. 2015, 19-20. Chairman of the Department of Endemic Diseases and the Liver Unit, Cairo University, Egypt. Member of the National Committee for the Control of Viral Hepatitis. Q. Professor Yosry what is the burden of HCV in Egypt? 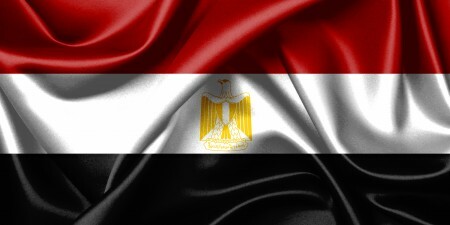 The current population of Egypt is around 90 million and the latest demographic health survey in 2014 indicates that the prevalence of HCV viremia in individuals 1-59 years old is 4.4% and in individuals 15-59 years old is 7%. Ninety percent of the infections are genotype 4 and 10% genotype 1 HCV, causing an estimated number of new infections of 150,000 annually, mostly resulting from nosocomial transmission of the virus. Q. What public health policy is in place to counteract HCV? A national program for the treatment of patients with chronic hepatitis C was initiated by the ministry of health (MOH) in 2007. Around 50,000 patients were treated annually with free of charge pegylated interferon and ribavirin leading to SVR rates of approximately 50% following a 48 week course of treatment. The introduction of directly acting antivirals (DAAs) heralded a new era in the management of HCV infection in Egypt. Though newer generations of DAAs offer high cure rates (SVR>90%), and are safe, well-tolerated and of wider access and shorter duration, however they are exceedingly expensive and thus unaffordable. The MOH was able to negotiate discounted prices with the pharmaceutical companies, as low as 1% of their world market price, making DAAs affordable. Q. When did DAA therapy become available to treat HCV in your country? Sofosbuvir was introduced into the national program in October 2014 whereby Interferon eligible patients were given triple therapy (sofosbuvir + pegylated interferon + ribavirin) for 12 weeks whereas Interferon ineligible patients were given dual therapy (sofosbuvir + ribavirin) for 24 weeks. Patients with advanced liver disease, i.e. Metavir F3 and F4 at liver biopsy, were prioritized to receive treatment. The SVR 12 for triple therapy and dual therapy was 92% and 72% respectively; the difference in outcome being imputable to excess patients with advanced fibrosis receiving the dual therapy group, in the face of 50% pegylated interferon and ribavirin failures, and this explains the relatively low SVR in the latter group. Q. Were other DAAs introduced in 2015? Simeprevir was introduced to the national program in May 2015, and the treatment protocol was modified in order to have Interferon eligible patients given triple therapy (sofosbuvir + pegylated interferon + ribavirin) for 12 weeks whereas Interferon ineligible patients received sofosbuvir + simeprevir for 12 weeks. Prioritization by disease severity was abolished so that all chronic HCV patients received treatment irrespective of their fibrosis stage. However, compensated cirrhotic patients could be treated only when Child-Pugh score was ≤ 6. In a cohort of 665 chronic HCV patients (F0-F4) treated with sofosbuvir and simeprevir for 12 weeks, the SVR 12 was as high as 98%. In December 2015, daclatasvir, paritaprevir/r, ombitasvir were approved by the MOH and the treatment protocol starting January 2016 will therefore include sofosbuvir + daclatasvir for most patients except those with renal impairment who will be switched to paritaprevir/r + ombitasvir + ribavirin. Q. Does the current capacity of liver centers meet the therapeutic needs in Egypt? The national program now runs 50 treatment centers distributed all over the country and this number will be doubled in the next couple of years. All centers are equipped to screen individuals for HCV, assess the severity of disease and dispense DAAs free of charge to HCV infected persons under the supervision of liver specialists. Over one million individuals have already registered for treatment with DAAs, and 150,000 have started treatment. Q. Have generic DAAs been endorsed by MOH to fight against HCV? Yes. The availability of highly effective DAAs, at an affordable price, led the National Committee for the Control of Viral Hepatitis to develop an ambitious plan with the objective of decreasing the prevalence of HCV to <2% by 2025. This can be achieved by increasing the number of treated individuals to at least 325,000 per year coupled with measures of public health preventing transmission. The cost of treating each patient with generic sofosbuvir and daclatasvir is currently around 75 USD per month only and this will definitely enable the MOH to reach the target of treating around 400,000 patients per year. Most of the HCV infected individuals are unaware of their infection so a HCV awareness campaign as well as a clear screening strategy are now being developed with the goal to provide a sufficient patient pool to match the projected increase in treatment. 4. Hepatinov, Villejuif F-94800, France. The approval of direct antiviral agents (DAAs), combined together and all-oral interferon free regimen, has dramatically changed the landscape of HCV therapy, especially for the most severe patients with decompensated cirrhosis, awaiting transplantation or liver transplant recipients. In the era of interferon, treatments were ineffective and poorly tolerated, due to a high risk of infection and/or rejection. At present, clinicians have to face a dilemma to prevent HCV recurrence: to treat before or after transplantation. Although both strategies are acceptable, there are subtle differences. Q. Is there a difference in efficacy? 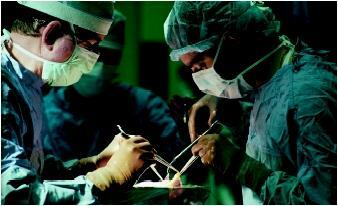 DAAs have shown remarkable efficacy to treat liver transplant patients in several studies. If the first strategy combining sofosbuvir and ribavirin was suboptimal with sustained virological response (SVR) rates of 70%, combinations of DAAs allow HCV clearance in over 90% of patients, regardless of the chosen combination with one NS5B inhibitor and one NS5A inhibitor and/or one second-generation protease inhibitor 1-5. This result is particularly remarkable in patients suffering from the most severe form of recurrence, fibrosing cholestatic hepatitis 6, 7. Although some questions are pending as the optimal duration of treatment or the need for the use of ribavirin, DAAs are extremely effective in liver transplant patients who achieve the same results as non-transplanted patients. Treating cirrhotic patients is more challenging. Although there is no difference in terms of efficacy for treating compensated cirrhotic patients, some studies show poorer results in patients with decompensated cirrhosis, with overall SVR rates between 72 and 88% in this context4, 8-101-5. Most severe patients obtain poorer results. The ALLY-1 trial, combining sofosbuvir+daclatasvir, shows a difference according to class of Child-Pugh score (CTP) with 92%, 94% and 56% of SVR for CTP A, B and C, respectively 8. Real-life studies have confirmed these results. In the UK cohort study that included 467 cirrhotic patients with CTP>B7, the combination of sofosbuvir plus one NS5A inhibitor, ledispavir or daclatasvir lasting 12 weeks shows SVR rates between 71 and 80%11. Finally, DAAs are also effective in cirrhotic patients but the severity of cirrhosis is still a predictor of SVR. Will the new combinations improve these results? Although the combination of sofosbuvir+velpatasvir for 12 weeks provides SVR in over 90% of patients, SVR rate was 83% (n=90) in patients with decompensated cirrhosis. The addition of ribavirin increases SVR rate of 94% (n=87)12. All in all, there are better results in terms of efficacy in treating liver transplant patients than patients with decompensated cirrhosis, particularly Child C.
Q. Is there a difference in terms of tolerance? DAAs are well tolerated before or after transplantation. All reported studies show a rate of serious adverse events (SAE) of about 20%, expected in regard of the severity of these populations. After transplantation, the main issue is drug-drug interactions (DDI) between immunosuppressive drugs and DAAs. Basically, DDI are not clinically relevant when sofosbuvir combines one NS5A inhibitor. However, the use of protease inhibitors requires dose adjustment and close monitoring13. The combination of cyclosporine and simeprevir is contraindicated due to overexposure to simeprevir. Before transplantation, the main issue is DAAs pharmacokinetic changes in patients with hepatic impairment. With the exception of sofosbuvir that has a renal clearance, other DAAs are metabolized by the liver. In patients with severe hepatic impairment, concentrations of DAAs may be significantly increased. Although these changes are not clinically relevant for NS5A inhibitors, concentrations of protease inhibitors can vary between 5-32 fold when using simeprevir and asunaprevir, for example 13. Finally, some unexpected SAE may occur in the most serious patients. Recently, 5 cases of cardiac arrhythmias have been reported in cirrhotic patients14,15. Although concomitant use of amiodarone or beta-blockers are incriminating factors, they do not explain everything because at least one patient had no concomitant treatment. All in all, safety profiles are excellent before and after liver transplantation. Safety issues are mainly DDI and hepatic impairment. Both argue for the use of NS5A inhibitors more than protease inhibitors. Q. Can we avoid liver transplantation in treating hepatitis C prior to transplantation? This is the critical point arguing for treatment before transplantation. Treatment is recommended for Child A patients with hepatocellular carcinoma if there is no risk of drop out from the list due to the tumor (LT should not be delayed by the treatment). The discussion concerns mainly patients listed for decompensated cirrhosis without hepatocellular carcinoma. About 2/3 of patients achieve clinical and biological improvement during treatment in studies enrolling decompensated cirrhotic patients4, 8, 12, 16. However, we must look with caution at these results. First, 1/3 of patients does not improve or worsen during treatment, regardless of virological response. Then, improvement is often modest with variations of only 1 or 2 points in MELD score. In a recent meta-analysis including 533 patients, 28% experienced an improvement of MELD score over17. Finally, who may be withdrawn from the list? A French cohort study that included 183 patients awaiting transplantation showed that out of 53 patients with decompensated cirrhosis, 36% had a complete clinical and biological response, meaning a CTP A at the end of treatment16. The best predictor of improvement was baseline CTP, with an AUC of 0.81, the best threshold being 7.5. Therefore, several questions remain unresolved. Some patients will keep improving over longer follow-up. Comorbidities are likely to be considered in this setting. To date, the point of no return is not established. Although we could expect significant improvement of 1/3 of patients, it probably concerns the less serious patients. For others, we have to be cautious: access to transplantation is conditioned by the severity of the disease. Treating patients to get partial improvement may be deleterious. Finally, should we treat patients before or after liver transplantation? Both strategies are relevant with excellent efficacy results and good safety profiles. Regarding efficacy, better results are achieved in transplant recipients than in decompensated cirrhotic patients. Regarding safety, DAA and hepatic impairment are still issues and favor the use of NS5A inhibitors. To withdraw patients from the waiting list is feasible and should concern about 30% of patients. Charlton M, Gane E, Manns MP, Brown RS, Jr., Curry MP, Kwo PY, et al. Sofosbuvir and ribavirin for treatment of compensated recurrent hepatitis C virus infection after liver transplantation. Gastroenterology. 2015;148(1):108-17. Kwo PY, Mantry PS, Coakley E, Te HS, Vargas HE, Brown R, Jr., et al. An interferon-free antiviral regimen for HCV after liver transplantation. N Engl J Med. 2014;371(25):2375-82. Coilly A, Fougerou C, De Ledinghen V, Houssel-Debry P, Duvoux C, Di Martino V, et al. G15 : The association of sofosbuvir and daclatasvir for treating severe recurrence of HCV infection after liver transplantation: Results from a large french prospective multicentric ANRS CO23 CUPILT cohort. Journal of Hepatology. 2015;62:S236-S7. Charlton M, Everson GT, Flamm SL, Kumar P, Landis C, Brown RS, Jr., et al. Ledipasvir and Sofosbuvir Plus Ribavirin for Treatment of HCV Infection in Patients With Advanced Liver Disease. Gastroenterology. 2015;149(3):649-59. Pungpapong S, Aqel B, Leise M, Werner KT, Murphy JL, Henry TM, et al. Multicenter experience using simeprevir and sofosbuvir with or without ribavirin to treat hepatitis C genotype 1 after liver transplant. Hepatology. 2015;61(6):1880-6. Leroy V, Dumortier J, Coilly A, Sebagh M, Fougerou-Leurent C, Radenne S, et al. Efficacy of Sofosbuvir and Daclatasvir in Patients With Fibrosing Cholestatic Hepatitis C After Liver Transplantation. Clin Gastroenterol Hepatol. 2015;13(11):1993-2001 e2. Forns X, Charlton M, Denning J, McHutchison JG, Symonds WT, Brainard D, et al. Sofosbuvir compassionate use program for patients with severe recurrent hepatitis C after liver transplantation. Hepatology. 2015;61(5):1485-94. Poordad F, Schiff ER, Vierling JM, Landis C, Fontana RJ, Yang R, et al. LO8 : Daclatasvir, sofosbuvir, and ribavirin combination for HCV patients with advanced cirrhosis or posttransplant recurrence: Phase 3 ALLY-1 study. Journal of Hepatology. 2015;62:S261-S2. Poordad F, Hezode C, Trinh R, Kowdley KV, Zeuzem S, Agarwal K, et al. ABT-450/r-ombitasvir and dasabuvir with ribavirin for hepatitis C with cirrhosis. N Engl J Med. 2014;370(21):1973-82. Aqel BA, Pungpapong S, Leise M, Werner KT, Chervenak AE, Watt KD, et al. Multicenter experience using simeprevir and sofosbuvir with or without ribavirin to treat hepatitis C genotype 1 in patients with cirrhosis. Hepatology. 2015;62(4):1004-12. Foster GR, McLauchlan J, Irving W, Cheung M, Hudson B, Verma S, et al. O002 : Treatment of decompensated HCV cirrhosis in patients with diverse genotypes: 12 weeks sofosbuvir and NS5A inhibitors with/without ribavirin is effective in HCV genotypes 1 and 3. Journal of Hepatology. 2015;62:S190-S1. Curry MP, O’Leary JG, Bzowej N, Muir AJ, Korenblat KM, Fenkel JM, et al. Sofosbuvir and Velpatasvir for HCV in Patients with Decompensated Cirrhosis. N Engl J Med. 2015;373(27):2618-28. Coilly A, Roche B, Duclos-Vallee JC, Samuel D. News and challenges in the treatment of hepatitis C in liver transplantation. Liver Int. 2016;36 Suppl 1:34-42. Renet S, Chaumais MC, Antonini T, Zhao A, Thomas L, Savoure A, et al. Extreme Bradycardia After First Doses of Sofosbuvir and Daclatasvir in Patients Receiving Amiodarone: 2 Cases Including a Rechallenge. Gastroenterology. 2015;149(6):1378-80 e1. Fontaine H, Lazarus A, Pol S, Pecriaux C, Bagate F, Sultanik P, et al. Bradyarrhythmias Associated with Sofosbuvir Treatment. N Engl J Med. 2015;373(19):1886-8. Coilly A, Pageaux GP, Houssel-Debry P, Duvoux C, Radenne S, De Ledinghen V, et al. Improving liver function and delisting of patients awaiting liver transplantation for HCV cirrhosis: do we ask too much to DAAs? Hepatology. 2015;62:33A-92A. Munoz SJ, Reich DJ, Rothstein KD, Xiao GS, Patel V, McNulty GL. 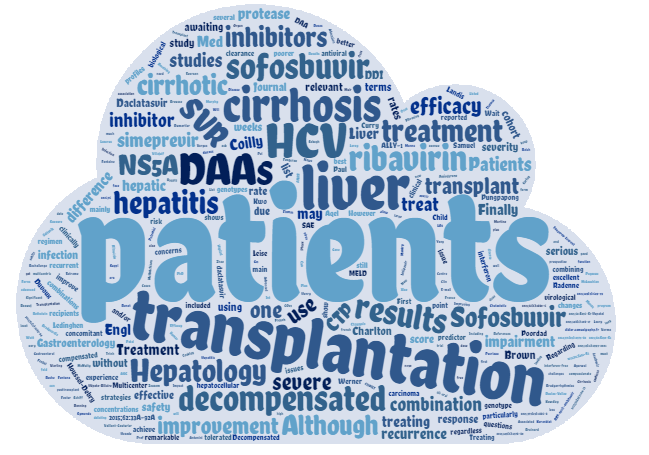 Curing Decompensated Wait Listed HCV Patients with the New DAAs: The Potential Significant Impact on Liver Transplant Wait List and Organ Allocation Hepatology. 2015;62:33A-92A. Q. What have been the challenges due to HCV infection in organ transplant? HCV infection remains the most frequent etiology of decompensated cirrhosis requiring liver transplantation (LT) and is also a major factor in the exponential rise in hepatocellular carcinoma (HCC) in North America and Western Europe. A major challenge has been reinfection of the liver allograft with HCV resulting in diminished patient outcomes after an otherwise successful procedure. Confounding management of HCV infection was the generally poor tolerance of interferon and ribavirin-based regimens in liver transplant recipients due to hematological side effects, and also because of the potential for induction of graft rejection due to the immune modulating effects of interferon. Importantly, HCV infection has also been an issue in solid organ transplant other than liver. This has been especially true in renal transplantation due to the continued high prevalence of HCV infection in the dialysis population. HCV infection in renal transplant recipients has been implicated in diminished patient and graft survival. As in other solid organ transplant recipients HCV infection also increases the likelihood of post-transplant diabetes mellitus. Antiviral therapy before renal transplant however had been especially difficult due to poor tolerance. The hemolytic anemia induced by ribavirin can be hazardous in patients with chronic kidney disease in whom baseline anemia is typical. Importantly ribavirin is not efficiently dialyzed and thus the associated anemia can be long lasting. Interferon based HCV therapy post-renal transplant was not advised due to a well-founded concern about its use precipitating graft rejection. In heart and lung transplant candidates infected with HCV there has been reluctance to offer transplantation because of a perception that therapeutic immunosuppression would lead to hepatic decompensation. Q How will the introduction of DDA therapy alter management of HCV infection in transplant patients? The availability of all oral regimens has already dramatically expanded treatment options in transplant patients. It is now possible to eradicate HCV infection in most patients in these previously difficult to treat populations including transplant candidates and recipients. Q. What is the data in cirrhotic patients? A number of seminal studies have confirmed the efficacy of oral DAA regimens in liver transplant candidates and recipients. Longer follow-up will be required however to determine whether patients with advanced cirrhosis will improve sufficiently to obviate the need for liver transplant. A number of authors have confirmed the efficacy of all oral antiviral therapy with the nucleotide polymerase inhibitor sofosbuvir. Lawitz and colleagues reported their experience in 103 cirrhotic genotype 1 patients treated with the so-called Cosmos protocol namely simeprevir 150 mgs daily, an NS3/4A inhibitor, and sofosbuvir 400 mgs daily administered for 12 weeks1. In treatment-naïve patients, SVR 12 was 88% and in treatment-experienced patients, it was 79% with this regimen generally well tolerated. Modi and colleagues reported an overall SVR 12 of 74% in 42 patients with decompensated cirrhosis due to HCV genotype genotype 1 with Cosmos. In the 14 patients infected with HCV genotype 1b SVR was 100%. Overall therapy was well tolerated. However, of the seven patients who had received ribavirin as part of this regimen two required blood transfusion2. Other groups have also sounded a word of caution about the use of this oral regimen in patients with more advanced cirrhosis. Mitchell et al. treated 103 cirrhotic patients, deemed to be ineligible for interferon-based therapy, with the Cosmos regimen. SVR rates were 87%, 77% and 67% in Child’s A, B and C patients respectively. However, 11% of patients had severe adverse events including a fatal septic episode in one patient 3. Soriano and colleagues observed fatal hepatic decompensation in an elderly patient during therapy with Cosmos4. However, given the morbidity of clinically overt cirrhosis it can be difficult to distinguish antiviral therapy-related events from the natural history of disease. Saxena et al. for instance in their analysis of outcomes in cirrhotic patients treated with Cosmos noted that adverse clinical events were not substantially more frequent in treated patients compared to untreated controls 5. However another report in 35 patients with extensive fibrosis or cirrhosis treated for HCV infection with sofosbuvir and ribavirin implicated this regimen in development of lactic acidosis in five (14%) accompanied by hepatic decompensation. Sofosbuvir has also been successfully combined with NS5A inhibitors in the treatment of cirrhotic HCV patients. Bourliere and colleagues treated 155 cirrhotic patients infected with HCV genotype 1 who had failed prior antiviral therapy with either 12 weeks of sofosbuvir, ledispavir and ribavirin or 24 weeks of dual therapy with SVR rates of 96% and 97% respectively with overall good tolerance of therapy6. More recently, Curry and colleagues described the use of another NS5A inhibitor, velpatasvir, with sofosbuvir with or without ribavirin in Child B cirrhotics with a variety of genotypes 7. Overall SVR rates were 83% and 86% with 12 weeks and 24 weeks of dual therapy respectively and 94% with 12 weeks of triple therapy. Again, treatment was well tolerated. The Abbvie regimen which incorporates protease, NS5A and polymerase inhibitors (“PROD”) has also been studied in cirrhotic patients. Poordad and colleagues treated 380 Child’s A cirrhotics for 12 or 24 weeks with ribavirin with SVR rates of 91.8% and 95.9% respectively 8. Therapy was well tolerated. In another report, Feld and colleagues achieved an SVR of 100% in HCV genotype 1b patients with 12 weeks of PROD without ribavirin9. However, use of this regimen in cirrhotics has been restricted by an FDA warning after its use was implicated in hepatic failure in patients with more advanced cirrhosis. Overall, these results with different regimens indicated treatment of HCV with progression cirrhosis is feasible and highly effective. However, in patients with more advanced cirrhosis toxicity is a concern and has led to avoidance of the PROD regimen in Child’s B patients. Ongoing studies will clarify whether achieving SVR will allow frequent delisting of liver transplant candidates as some authors have reported10. Curry and colleagues established that successful antiviral therapy with SVR pre-liver transplant prevents recurrent HCV in the graft 11. Q. How successful is DAA therapy in liver transplant recipients? One of the most urgent indications for HCV therapy is severe recurrent HCV. Compassionate use of sofosbuvir in recurrent HCV including fibrosing cholestatic hepatitis allowed salvage of grafts even with this severe manifestation of HCV recurrence with excellent SVR rates12. Charlton and colleagues used the combination of sofosbuvir lediprasvir and ribavirin in patients with advanced liver disease including liver transplant recipients with severe HCV recurrence. SVR rates with this regimen administered for 12 weeks resulted in high SVR rates although these fell to less than 75% in recipients with more severe hepatic impairment 13. Kwo and colleagues reported a 97% SVR in 34 liver transplant recipients infected with HCV genotype 1 using the PROD regimen. Importantly, adjustment of calcineurin dosing is required with this regimen. Q. What is the role of DAA therapy in the renal transplant population? Patients with renal failure have been difficult to treat safely with interferon and ribavirin-based therapy due to anemia associated with renal failure. However, DAA therapy has been successively used pre- and post-renal transplant. Initial reports have described a high rate of SVR with good patient tolerance even in the presence of advanced renal failure 14. Bhamidimarri has reported successful use of reduced dose sofosbuvir with simeprevir in renal transplant candidates 15. In another report, all 17 patients on chronic hemodialysis infected with HCV genotype 1 treated by Nazario and colleagues achieved with standard dose sofosbuvir and simeprevir 16. Other reports also support the use of sofosbuvir-based regimens in this population 17. Ongoing studies are addressing use of PROD in this population also. Not surprisingly, reports are also starting to appear about use of DAA therapy in renal transplant recipients. Sawinski and colleagues successfully treated 20 renal transplant recipients, predominantly infected with HCV genotype 1, with a sofosbuvir-based regimen achieving 100% SVR without major toxicity and with adjustment of immunosuppression necessary in only half. Q. What is the optimal timing of antiviral therapy? It is clearly feasible to cure HCV infection in most solid organ transplant candidates and recipients with acceptable toxicity. However, an important issue that requires further study is the optimal timing of antiviral therapy in a patient awaiting organ transplant. A potential recipient with HCV infection can now safely be offered an organ from an HCV infected donor with the expectation that post-transplant antiviral therapy can cure HCV infection. In contrast, a transplant candidate who has had successful treatment of HCV can no longer be offered an organ from a HCV infected donor because of the risk of HCV reacquisition. In a recent analysis, Reese and colleagues drew attention to the substantially shorter waiting times for renal transplant in the United States for renal transplant candidates prepared to accept an organ from a HCV positive donor which comprises 4% of the US deceased donor pool18. Use of HCV positive donor organs could conceivably be extended to HCV naïve patients with pre-transplant antiviral therapy. Clearly, the management of HCV infection in organ transplant has entered a new phase and will no longer be the threat to graft and patient as it has been. Lawitz E, Matusow G, DeJesus E, et al. Simeprevir plus sofosbuvir in patients with chronic hepatitis C virus genotype 1 infection and cirrhosis: A Phase 3 study (OPTIMIST-2). Hepatology 2015. Modi AA, Nazario H, Trotter JF, et al. Safety and efficacy of Simeprevirplus Sofosbuvir with or without Ribavirin in patients with decompensated genotype 1 hepatitis C cirrhosis. Liver Transpl 2015. Shiffman ML, James AM, Long AG, et al. Treatment of chronic HCV with sofosbuvir and simeprevir in patients with cirrhosis and contraindications to interferon and/or ribavirin. Am J Gastroenterol 2015;110:1179-85. Soriano V, Barreiro P, de Mendoza C, et al. Hepatic decompensation with sofosbuvir plus simeprevir in a patient with Child-Pugh B compensated cirrhosis. Antivir Ther 2015. Saxena V, Nyberg L, Pauly M, et al. Safety and Efficacy of Simeprevir/Sofosbuvir in Hepatitis C-Infected Patients With Compensated and Decompensated Cirrhosis. Hepatology 2015;62:715-25. Bourliere M, Bronowicki JP, de Ledinghen V, et al. Ledipasvir-sofosbuvir with or without ribavirin to treat patients with HCV genotype 1 infection and cirrhosis non-responsive to previous protease-inhibitor therapy: a randomised, double-blind, phase 2 trial (SIRIUS). Lancet Infect Dis 2015;15:397-404. Curry MP, O’Leary JG, Bzowej N, et al. Sofosbuvir and Velpatasvir for HCV in Patients with Decompensated Cirrhosis. N Engl J Med 2015;373:2618-28. Poordad F, Hezode C, Trinh R, et al. ABT-450/r-ombitasvir and dasabuvir with ribavirin for hepatitis C with cirrhosis. N Engl J Med 2014;370:1973-82. Feld JJ, Moreno C, Trinh R, et al. Sustained virologic response of 100% in HCV genotype 1b patients with cirrhosis receiving ombitasvir/paritaprevir/r and dasabuvir for 12weeks. J Hepatol 2015. Ruiz I, Feray C, Pawlotsky JM, et al. Patient with decompensated hepatitis C virus-related cirrhosis delisted for liver transplantation after successful sofosbuvir-based treatment. Liver Transpl 2015;21:408-9. Curry MP, Forns X, Chung RT, et al. Sofosbuvir and ribavirin prevent recurrence of HCV infection after liver transplantation: an open-label study. Gastroenterology 2015;148:100-107 e1. Forns X, Charlton M, Denning J, et al. Sofosbuvir compassionate use program for patients with severe recurrent hepatitis C after liver transplantation. Hepatology 2015;61:1485-94. Charlton M, Everson GT, Flamm SL, et al. Ledipasvir and Sofosbuvir Plus Ribavirin for Treatment of HCV Infection in Patients With Advanced Liver Disease. Gastroenterology 2015;149:649-59. Roth D, Nelson DR, Bruchfeld A, et al. Grazoprevir plus elbasvir in treatment-naive and treatment-experienced patients with hepatitis C virus genotype 1 infection and stage 4-5 chronic kidney disease (the C-SURFER study): a combination phase 3 study. Lancet 2015;386:1537-45. Kalyan Ram B, Frank C, Adam P, et al. Safety, efficacy and tolerability of half-dose sofosbuvir plus simeprevir in treatment of Hepatitis C in patients with end stage renal disease. J Hepatol 2015;63:763-5. Nazario HE, Ndungu M, Modi AA. Sofosbuvir and Simeprevir in Hepatitis C genotype 1- patients with End-Stage Renal Disease on hemodialysis or GFR <30mL/min. Liver Int 2015. Hundemer GL, Sise ME, Wisocky J, et al. Use of sofosbuvir-based direct-acting antiviral therapy for hepatitis C viral infection in patients with severe renal insufficiency. Infect Dis (Lond) 2015;47:924-9. 18. Reese PP, Abt PL, Blumberg EA, et al. Transplanting Hepatitis C-Positive Kidneys. N Engl J Med 2015;373:303-5. Q. How has the standard of care treatment for chronic hepatitis B evolved? Antiviral treatment of HBV has made such remarkable progress in the least five years that only few challenges remain. Owing to its immunomodulatory and antiviral properties, IFN remains the best antiviral strategy in a subset of young patients with mild to moderate liver disease (1-4). In approximately 30% of such patients, a 48-week course of IFN provides long-term sustained response, including HBsAg clearance, and reduces long-term complications. For all the patients who cannot tolerate or respond to IFN, such third-generation oral nucleos(t)ide analogues (NUCs), as ETV or TDF, are indicated (1-4). Long-term administration of these NUCs is indeed the most popular anti-viral strategy worldwide, as they efficiently suppress HBV replication in most patients (>95%) without any major safety issues, resulting in the prevention of most liver complications. Q. What unmet clinical needs are we still dealing with? The only challenge of IFN-based therapy is cost-effectiveness. To this end, several strategies have been implemented, i.e. selection of best candidates by baseline prediction scores, tailoring of duration of therapy based upon on-treatment qHBsAg levels, combination with NUC in selected cases (1-4). For NUC therapy, the only unmet medical need is duration of therapy. HBsAg seroconversion is the best and safest stopping rule but this endpoint is achieved in a significant proportion of HBeAg positive patients with short duration of infection and favorable viral genotype (20% at 5-8 years) but in only few (approximately 1-5%) HBeAg positive Asian carriers or HBeAg negative carriers over 10 years’ treatment (1-4). Recent studies do suggest that NUC therapy could be safely discontinued before HBsAg loss in selected patients but the identification of these patients during NUC therapy is still challenging. Q. What steps forwards are expected in the treatment of HBV and how do reports from AASD meet our expectations? Several pre-clinical and phase I clinical studies were presented at the AASLD 2015 meeting. Different steps of the HBV life cycle have been targeted by small biotech companies and large big Pharma alike. Though very interesting and promising, these studies are still very preliminary and serve to provide the frame in which the future of HBV therapy will develop. For clinicians, few new studies were presented. Among the most interesting studies presented at AASL 2015 was the efficacy and safety of GS-4774 in long-term NUC suppressed CHB patients (5). There are two reasons why this study is relevant. First, although several previous studies with HBV specific vaccines had failed, this study enrolled only patients long-term suppressed by NUC with the sole aim to foster HBsAg kinetics. Second, this strategy may substitute add-on IFN that is of limited efficacy and prone to side effects. Unfortunately, a 20-week course of GS-9774 did not improve HBsAg kinetics in the overall analysis nor at the individual patient level. Only three patients in the high GS-4774 dose group achieved more than 0.5 log HBsAg decline but none cleared HBsAg at week 48. These results are even more disappointing owing to the fact that most patients had baseline favorable features such as long-term suppression of HBV by TDF and median HBsAg levels of approximately 3 log IU/ml. In a similar population of patients, add-on peg-IFN, the only other immunomodulatory add-on approach currently available for HBV patients, yielded better results, showing a 0.5 log decline of HBsAg and 3-5% of patients clearing HBsAg or achieving very low qHBsAg (<10 IU/ml) in a difficult to cure genotype D patients (6,7). Another interesting study presented at AASLD 2015 was the phase II study involving RNA interference technology (8). A single iv injection of ARC-520 produced a 40% or 0.3 log reduction of HBsAg levels in HBeAg negative Chinese patients fully suppressed by ETV for many years. This decline of qHBsAg was maintained for 30-45 days following a single injection setting the stage for multiple dose studies. In the setting of IFN therapy, the first GWAS study aimed to identify genetic predictors of sustained virological response to IFN was presented (9). One thousand five hundred HBeAg positive and negative patients, both Asians and Caucasians, treated with IFN in different countries were enrolled. To most clinicians’ surprise, only a moderate association between a SNP in a NCOA2 gene region, a nuclear hormone receptor involved in activation of cell cycle genes, on chromosome 8 was demonstrated for Caucasians (P-value of lead SNP in Caucasians is 1.3×10-6; MAF=0.13) while no genetic predisposition could be identified among Asian patients. The role of this genetic association requires further analysis. Q. What novelties are coming out in 2016? 2016 is going to be an important year for HBV therapy as several new phase II/III studies will be completed and analyzed. Among these, the TAF phase III study, the TLR-7 agonist, the therapeutic vaccine for naïve patients, new immunomodulators for both naïve and suppressed patients, the RNA small interfering products, entry inhibitors, release inhibitors, core inhibitors, and cccDNA inhibitors, just to quote only some of these new approaches. Many of these anti-HBV strategies are likely to fail because of safety issues or limited efficacy but some will proceed to phase II and phase III in 2017 setting the stage for the future of HBV therapy that will address eradication and functional cure. Only one week ago, a press release published the preliminary results of the phase III RCT of TDF vs TAF which is a modified TDF endowed with similar antiviral efficacy but lower systemic exposure (10). Indeed, while the 48-week virological responses were similar between the two NUCs (93% vs 94% for HBeAg negative patients, 67% vs 64% for HBeAg positives), patients receiving TAF had smaller mean percentage decreases in BMD in the hip and spine (p<0.001), median eGFR change from baseline to eeek 48 favored TAF (p<0.01) and smaller increases in serum creatinine were observed in HBeAg positive patients on TAF (p=0.02). However, AEs leading to study drug discontinuation were similar between groups (~0.7-1%) as well as comparable were the most commonly reported AEs. The final results of this study will be presented at EASL 2016. Q. Is there a holy grail for HBV treatment ? The holy grail for HBV treatment has already been within reach for many years now. Third-generation NUC, i.e. ETV and TDF, improve patients’ survival by reducing most complications, although HCC attack rates remain significant, and this comes with a user friendly strategy, simple and efficient monitoring (every 6 months), limited price and excellent safety profile. Many patients affected by other chronic diseases, and their physicians too, would love to have a therapeutic strategy based on the long-term administration of a single pill every day, available to treat their disease as efficiently and safely as is now possible for HBV. Therefore now is the time for the hepatology scientific community to change the goal of anti-HBV therapy from reduction of the complications aimed to improve survival to improvement of HBsAg decline/loss to stop NUC therapy. Everyone would see how this new endpoint would revolutionize not only therapeutic strategies and study designs but also the measurable endpoints of these new regimens. With the aim to shorten duration of therapy, combination therapy with immunomodulators and/or new antiviral agents targeting different and new steps of the HBV life cycle, are the most likely answers. However, unlike the HCV setting where the new DAAs fill a major therapeutic gap as many patients would die of liver disease if DAAs were not available, it should not be overlooked that in the HBV setting, current oral therapies already provide full viral suppression with no complications and improved survival. Not to mention the cost issues. How much are the payers, the patients, the health systems willing to pay, in terms of both money and side effects, just to stop a very effective oral therapy, given the fact that the costs of ETV and TDF will fall shortly as their patents will soon expire ? Many public health policy issues remain unsettled though. Awareness of HBV infection in the general population is limited and referral to chronic carriers to secondary and tertiary referral centers for staging and treatment is still suboptimal. Moreover, while HBV is no longer a therapeutic challenge for those countries where ETV and TDF are marketed and fully reimbursed, it must be underlined that this is still not the case for many countries, most of whom belong to high or intermediate endemic areas for HBV. In these countries, due to the fact that these newer NUCs are not available or reimbursed and often virological testing is also unavailable, the management of HBV infection still remains a major challenge. EASL Clinical Practice Guidelines: Management of chronic hepatitis B virus infection. J Hepatol 2012;57:167–185. Terrault NA, Bzowej NH, Chang KM, et al. AASLD Guidelines for Treatment of Chronic Hepatitis B. Hepatology 2016;63(1):261-83. doi: 10.1002/hep.28156. Lok AS, Pan CQ,Han SHB et al. Safety and efficacy of GS-4774 in patients with chronic hepatitis B on oral antiviral therapy. Hepatology 2015;62, number 6 (suppl): page 1191A. Lampertico P, Brunetto MR, Craxì A et al. Add-on Peginterferon Alfa-2a significantly reduces HBsAg levels in HBeAg-negative, genotype D chronic hepatitis B patients fully suppressed on nucleot(s)ide analogues treatment: the HERMES Study. J Hepatol 2015;62:S279. Yuen MF, Chan HLY, Liu K et al.ARC-520 produces deep and durable knockdown of viral antigens and DNA in a phase II study in patients with chronic hepatitis B. Hepatology 2015;62, number 6 (suppl): page 1385A. Brouwer WP, Kowgier M, Tangkijvanich P, et al. Genetic variation rs16937012 near the NCOA2 gene predicts sustained response to interferon in chronic hepatitis B patients: the GIANT-B study. Hepatology 2015;62, number 6 (suppl): page 1384A. Agarwal K, Fung SK, Nguyen TT, et al. Twenty-eight day safety, antiviral activity, and pharmacokinetics of tenofovir alafenamide for treatment of chronic hepatitis B infection. J Hepatol 2015;62(3):533-40. doi: 10.1016/j.jhep.2014.10.035. HepBCPPA has compiled a database of EU 27 countries and the UK with a list of policymakers and advocates active in the strive for the elimination of hepatitis. e can provide this information on request.